Details: 2 Bedroom, 2 Bath beachfront home with over 1120 square feet. 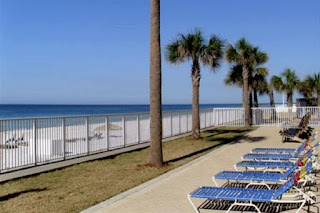 Located on the Gulf of Mexico, the Panama City Beach is a resort community on the Florida Panhandle boasts a popular subtropical climate, with an average temperature of 74 degrees. Additionally, with a yearly average of 320 days of sunshine, visitors and residents are able to enjoy some of the world's most beautiful white-sand beaches year-round.